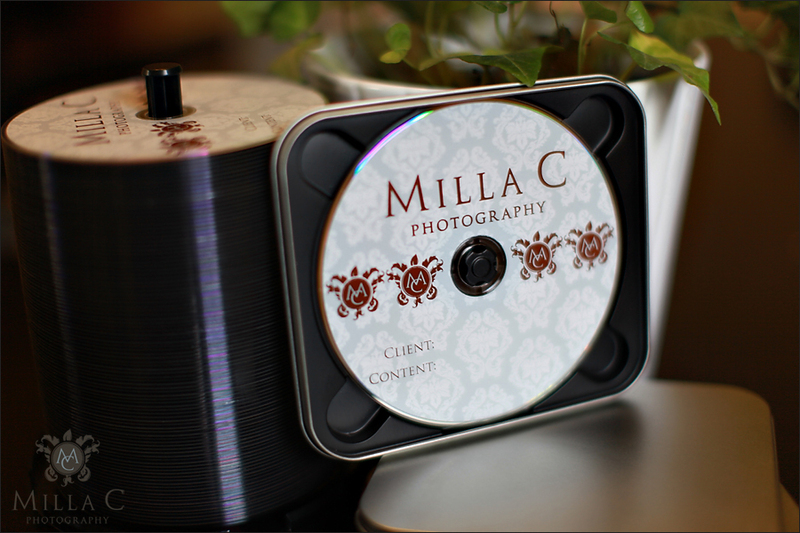 Milla C. Photography disc packaging! 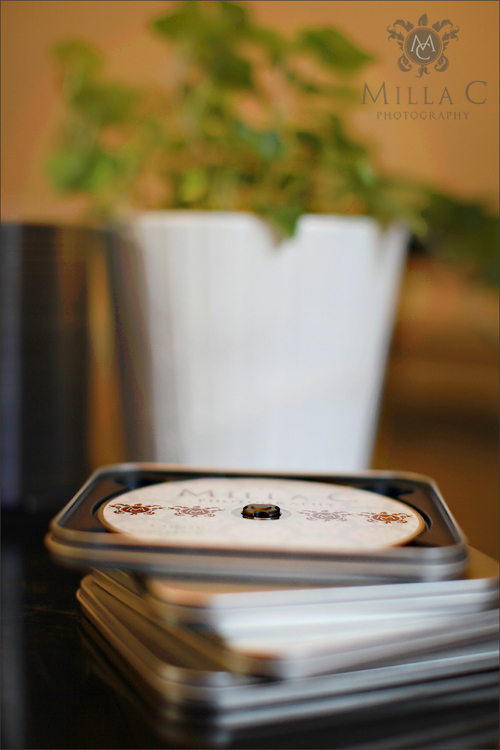 Over the next few days, I am going to post some photos of our packaging, pricing brochures, and albums that we have been working on over the cold, snowy winter months! We are very, very excited about everything, and I can’t wait to show you the facelift that our products have undergone recently. 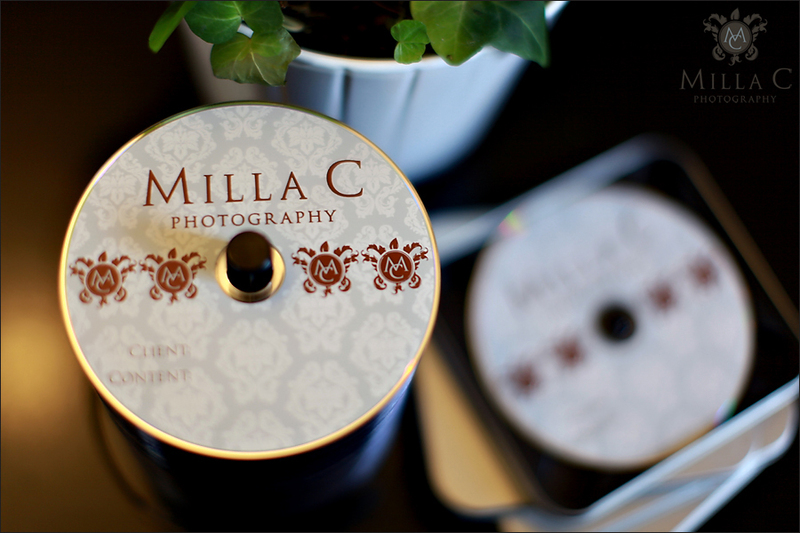 These DVDs for high-resolution client images have been screenprinted by North Coast Interactive, and the beautiful tins were recommended to me by Caryn Azure and come from Effectuality. We will use these DVDs to send high-resolution images from weddings and portrait shoots, and we also will use them for making DVDs of our music slideshows!